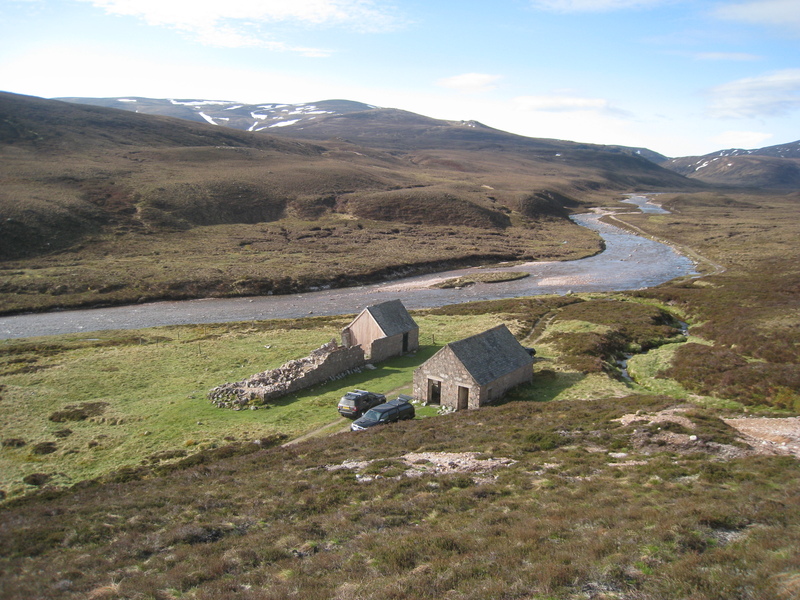 Faindouran sits in a pleasant part of Glen Avon at NJ 081062, remote from any direction but a lifesaver on more than one occasion as the only shelter for miles. After suffering potentially terminal storm damage in February 2013 it has now been fully repaired and is better than before. By bike the easiest way is to come in from Tomintoul, by single-track estate road as far as Inchrory and by landy track after that, with a total distance of about 16-17 miles. The track is interestingly steep in places and three to four hours is likely to be needed by bike. Longer, of course, if you’re walking. 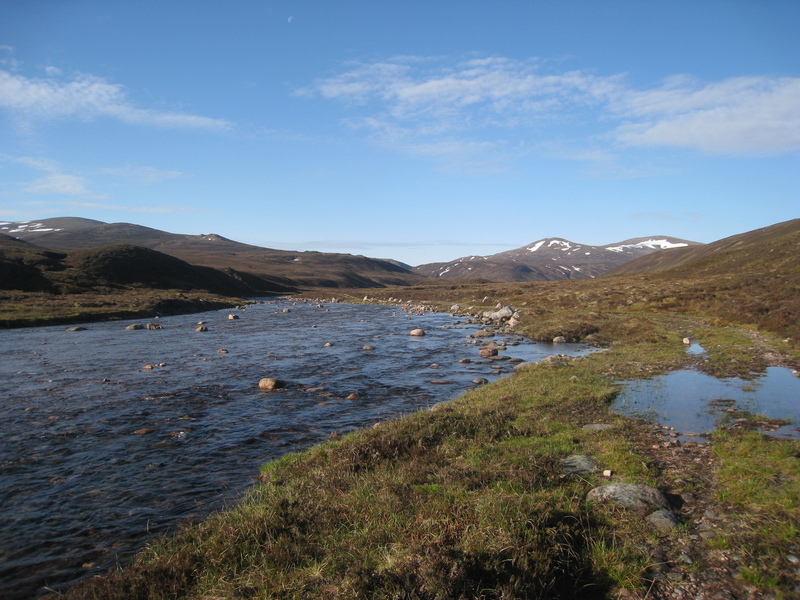 It’s also possible to get there by coming down Glen Avon from where the Lairig an Laoigh crosses, or more directly from Bynack Mor over the broad ridge near Dagrum, but this is over rough, heathery ground and is still a long way. 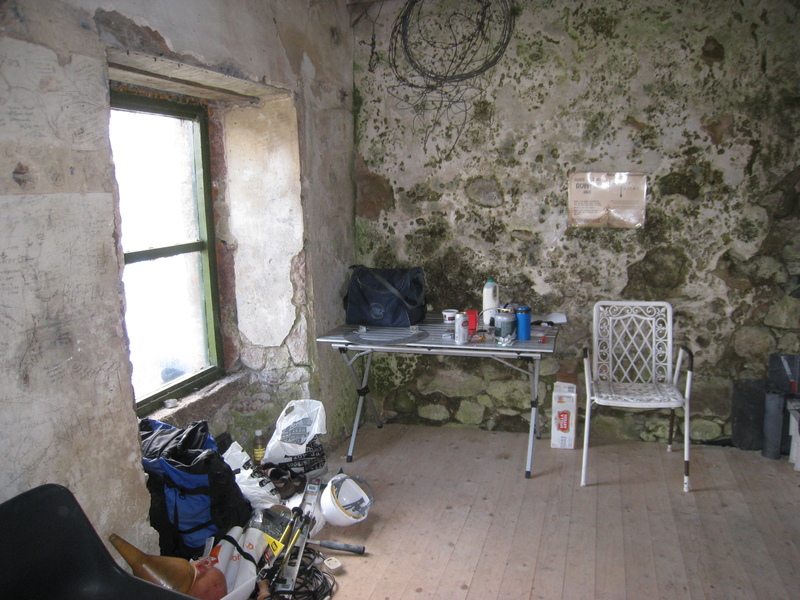 Main Bothy: Faindouran is the end section and all that’s left standing of an old shooting lodge. It’s a single room, with double doors entering directly to the accommodation. 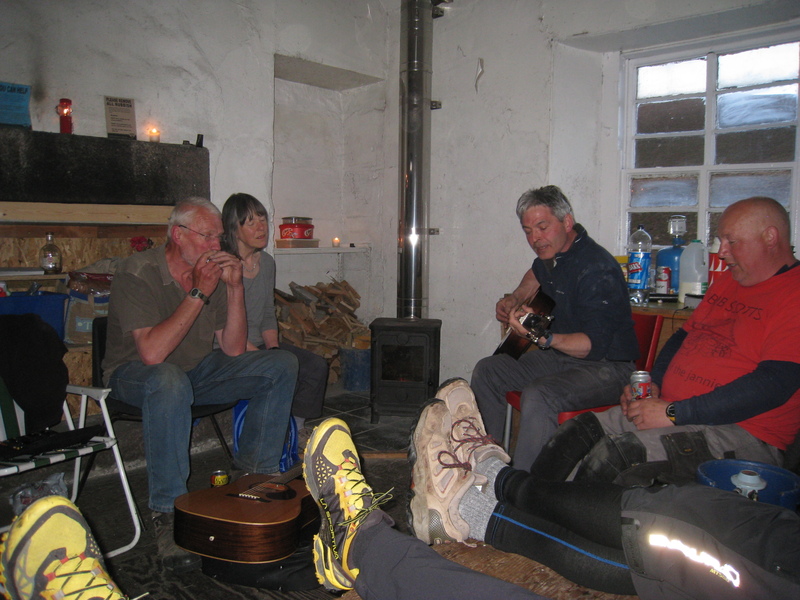 Following the collapse of the gable wall – with the chimney – in February 2013 there is no longer an open fire, but a very effective stove has been installed. However, there is no fuel in the area (save possible bogwood), so best to bring in your own. There is a large window giving plenty light, and two tables, several chairs and a sleeping platform large enough for two in the downstairs room. A steep ladder/staircase leads to further sleeping accommodation in the attic, which is properly floored and clean. 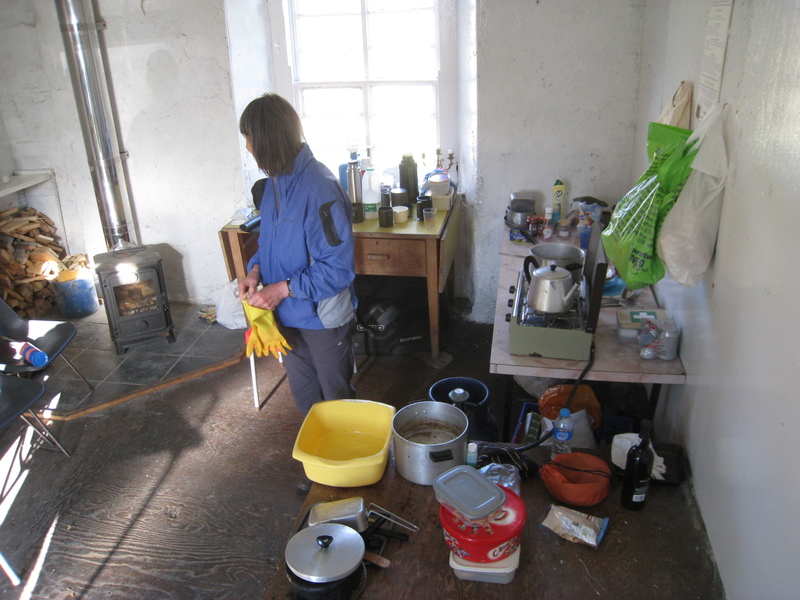 Inside the main bothy, showing the new stove, the tables and, nearest camera, the sleeping platform. The numerous pots and utensils were joint MO Marlene catering for a large and hungry work party. 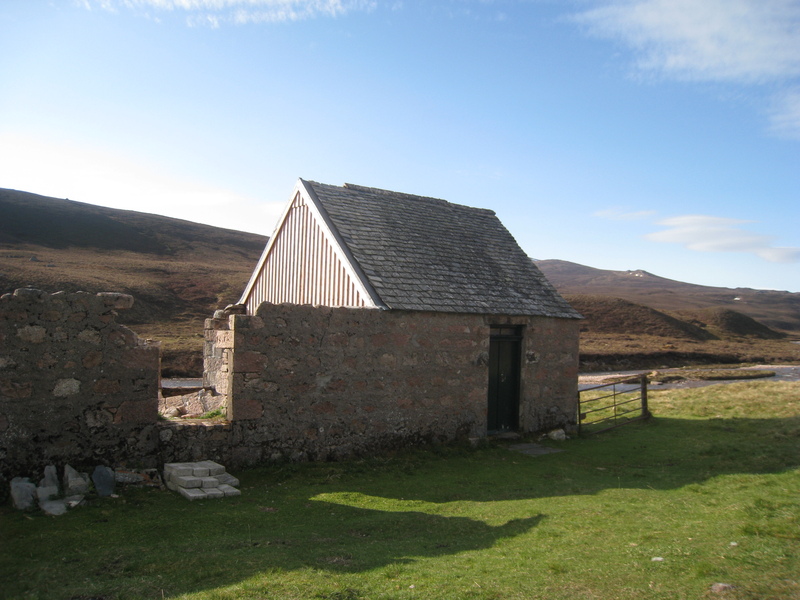 Stable: This building across the track from the main bothy was given a wooden floor while the main bothy was out of use, and is weathertight, giving extra sleeping accommodation if needed. There is a small burn about 10-15 metres diagonally left from the front door, or you can go down to the main River Avon, with its famously clear water. There is none. Take the bothy spade a good distance from the bothy – and then a bit further yet. Other than that it was an old shooting lodge, I know little about Faindouran’s history. For more recent history you can read about the storm damage here and the final stages of the renovation here.